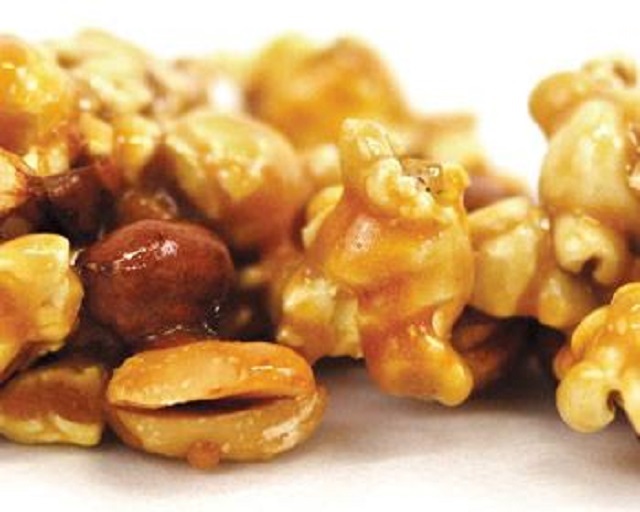 With Halloween only a week away, I thought it would be fun to post a recipe for Caramel Corn. I got this recipe from an old booklet that’s been in my kitchen for over 30 years – it’s so old, in fact, that it pre-dates microwave popcorn…. Combine butter, sugar, syrup, and salt in 2-qt. heavy saucepan over medium heat. Stir until sugar dissolves, then continue to boil/stir to firm ball stage (248F). Remove from heat and stir in soda (mixture will foam up). Pour hot syrup over popped corn and nuts, stirring to combine well. Pour out onto baking sheets; bake in oven for 1 hour, stirring every 15-20 minutes. Cool thoroughly and store in airtight containers in cool place. 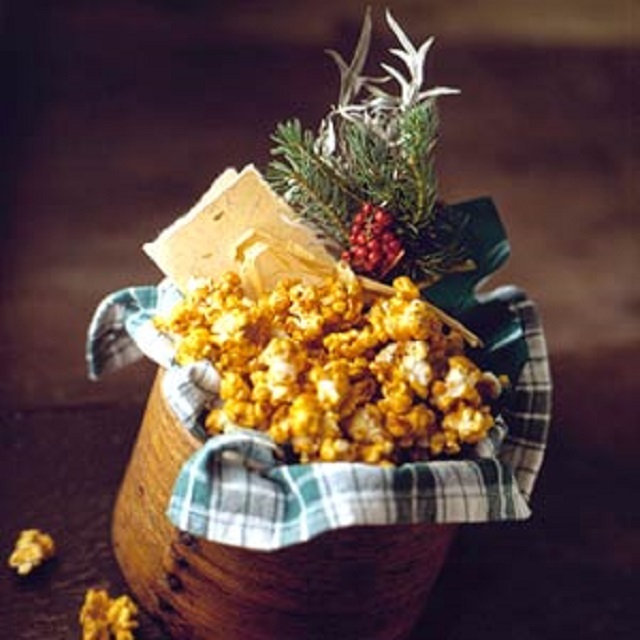 This entry was posted in Foodie Friday, Holidays, Recipes and tagged Caramel Corn, Cracker Jack, Halloween. Bookmark the permalink.